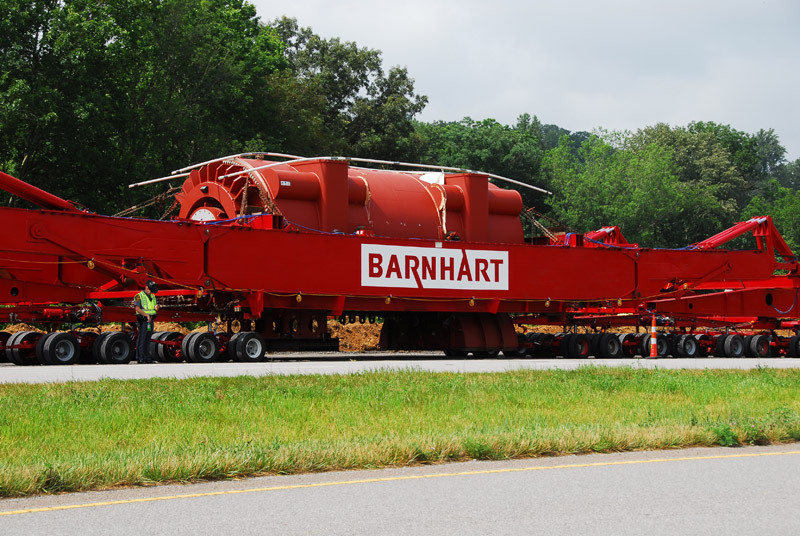 Barnhart has developed one of the industry's most versatile transport systems based on hydraulic trunnion dolly units. This type of transporter is most often used for over the road transport of heavy loads that involve the crossing of HS-20 and even HS-15 class bridges. The Barnhart dolly transporter incorporates unique innovations such as hydraulic controlled steering, self loading suspension girders and variable cargo width and length capability.